Presented by Sir Herbert Ingram, 1956. 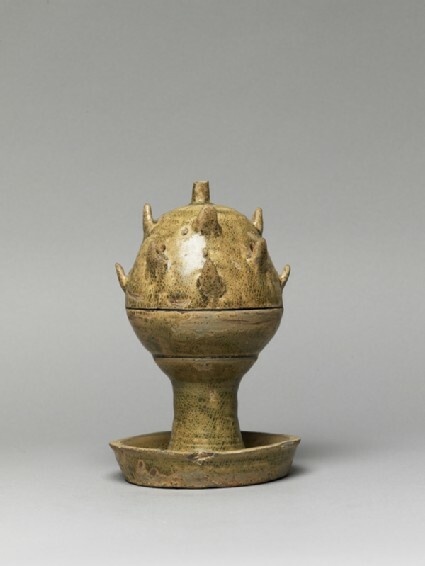 Incense burner in the shape of a hill. Vitreous coating applied to the surface of a ceramic to make it impermeable or for decorative effect. Ceramic material made of clay which is fired to a temperature of c.1200-1300⁰c and is often buff or grey in colour.